Tile Cleaning and Sealing experts in LANE COVE! Franklean Carpet & Tile Cleaning Company takes care of tile cleaning in Lane Cove 2066 and many more related cleaning services. If you reside anywhere in the LANE COVE areas, then you can most definitely engage our cleaner to take care of any tile cleaning services you may be in need of. And so in this connection, what type of tile cleaning services are you looking for in Lane Cove 2066? Or do you want to know what type of tile seal, cleaning and washing services Franklean Carpet & Tile Cleaning Company has in place? The Price is Right! Tile and Grout Cleaning in Lane Cove! If you want the tiles in your bathroom and kitchen area to be cleaned regularly and in a timely manner, expertise may not always be the only criteria. You may also be looking at the price and how cheap or expensive it is to engage cleaners to help seal, wash, and have the grout cleaned thoroughly. If the price is right, and if it is cheap and also reliable, then nothing like it. And this is where Franklean Carpet & Tile Cleaning makes a difference. Our price is not just low-priced and cheap but we also offer exemplary tile and grout cleaning service wherein we will help clean discolored tiles, the impregnating dirt, and grime is effectively removed and sealers are well in place too so as to prevent impregnating of dirt, and grime. And we use a nice microfiber cloth to ensure that there is no residue whatsoever. In the event you need the tiles in your house to be cleaned and spruced on an immediate, emergency basis, then Franklean Carpet & Tile Cleaning will be able to take care of a round of emergency cleaning and washing of the tiled areas. Why is it important to engage professional cleaners to take care of the tile and grout cleaning and washing services? If the tiled areas in your home are discolored and showing signs of needing a round of wash, grout cleaning and sealing then you need to engage an expert washer or cleaner who can clean and apply a sealer wherever required. The tiles are the mirror to your kitchen and bathroom areas, and in that if over time dirt and grime is impregnating it and it is looking all jaded, dirty and discolored, it definitely does not bode well for the residents’ and if you have guests’ then it will reflect badly on you that you are not keeping it clean and you are not washing the tiles and grout in a manner that it looks all shiny and sparkly at all times. So, it is of utmost importance to engage professional cleaners to take care of the tile cleaning, washing, sealing and more. 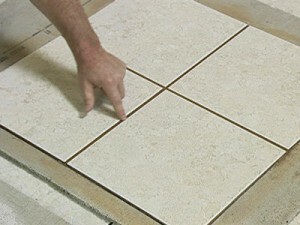 Professional tile cleaners have a set methodology in place. They use a microfiber cloth to help clean and wash and keep it shiny. This is of course in addition to using effective cleaning products to have the impregnating dirt and stains effectively cleaned removed. Expert cleaners know how to seal or how to apply sealers to the tile and grout so as to ensure that there are no gaps in the tiling. This way dirt will not make its way to any crevices, gaps, or cracks and the sealer will seal it all in well. It may sound implausible, but it is true. By engaging expert tile washer, cleaners, and sealers, their price is not going to be over the top. Instead, it will be cheap and pocket-friendly. This is because professionals have a set plan and approach in place and everything happens in a prescribed manner and time taken to complete the work on hand is not too long either. Hence, their pricing is competitive. Why Franklean Carpet & Tile Cleaning service in Lane Cove? Our price is right. It is cheap and best. Our professional washer and cleaner know how to go about the services offered on hand and most of all, we more than offer satisfactory services and the results are guaranteed. No questions asked. We have a set technique in place. We use the best cleaning products accompanied by a microfiber cloth that will ensure that the tiles are clean and shiny. 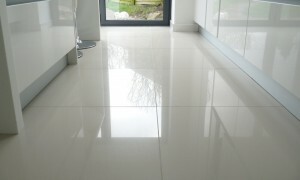 At short notice, you want a same day, emergency tile cleaning service, then our cleaners will attend to it in accordance. So, if you want to touch base with Franklean Carpet & Tile Cleaning, you can reach out to us on 0411 181 990 or email us at frankleansyd@gmail.com. Great pressure cleaning- Stunning driveways! Get a pressure cleaning done today! Eye-catching carpets like never before! – The Franklean Touch! What Everyone Is Saying about Hiring Professional Tile and Grout Cleaning Services And Carpet Cleaning North Ryde Area? WEBSITE BY DOMAIN BIRD | COPYRIGHT © 2016 FRANKLEAN CARPET & TILE CLEANING. ALL RIGHTS RESERVED.